30/01/2016 Organisational LearningComments are off for this post. 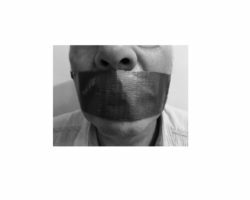 In my last blog post, I talked about how a culture of silence can negatively influence organisational learning and how this can have a negative effect on the impact (or long term goal) of an intervention. In the current blog, I’m going to look at what organisational learning means. Why is organisational learning important? Within an organisation, either a for-profit or a not-for profit, learning is often thought of as a process that an individual undertakes to improve their personal development. The environment (including both contextual factors and cultural factors) plays an important role and contributes to learning by improving or inhibiting individual performance. But learning is not only important for individuals. Teams need to learn. 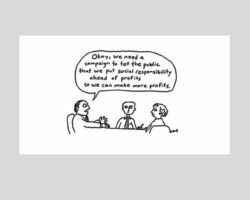 And so do organisations. Organisational learning is important for many reasons. This includes, for example, improved performance, growth, creating a competitive advantage, innovation, preventing past mistakes from being repeated and organisational survival. What does organisational learning mean? ‘’a multilevel process whereby members individually and collectively acquire knowledge by acting together and reflecting together. Knowledge is acquired, or created, and applied by individuals. In turn, individual knowledge is shared, combined, expanded, tested, and applied amongst individuals to become group or community knowledge. As that knowledge is captured, spread and embedded in organisational features, such as strategies and protocols, it becomes part of an organisational context, or code, that, in turn, influences what and how groups, communities, and individuals learn. The code continues to evolve as it consumes the learning of individuals and groups‘’ (Scott, 2011). Leeuw et al. (1994) offers a more limited definition of organisational learning as ‘’a process of detecting and correcting error‘’. Evaluation is thought to be a key ingredient to organisational learning. What does it mean to be a ‘learning organisation’? Creating a learning organisation is more than articulating a vision for the future, although this is an important component to provide direction and engagement. Learning organisations are said to foster open dialogue, which generates and allows people to act on new knowledge, so that organisational transformation can take place. This supports and creates tolerance for uncertainty, behaviour can easily be adapted, the organisation can stay competitive in a volatile unpredictable marketplace and most importantly survive. Within the healthcare sector, developing an organisation with a memory has been a goal for many years. McKnabb (2007, pp. 126-7) defines a learning organisation as ‘’one that is inherently agile. One that is quick to identify, digest and apply the lessons learned in its interactions with its environment‘’. ‘’..where people continually expand their capacity to create the results they truly desire, where new and expansive patterns of thinking are nurtured, where collective aspiration is set free, and where people are continually learning to see the whole together‘’. What are the basic components of a learning organisation? According to Gilson et al (2016, p12), two things are necessary in order for organisations to learn. These include 1) systems and 2) motivation. Learning cannot take place if one of these components is missing. People may be keen to learn but lack knowledge of how to learn, and so the process may take place by trial and error. On the other hand, systems for learning may be present within an organisation and a great deal of informal learning may be taking place but without motivation or intent, organisational learning won’t happen. What characteristics do learning organisations have in common? An environment where people can openly speak out about error. Questioning is allowed and people can be curious. Appreciation of diverging views is accepted. There is openness to new ideas. Mistakes and failure are not punished. People are not blamed. Experimentation and innovation is the norm. Risk taking occurs and failure is expected. Although problems may be dealt with reactively, time is allowed for critical reflection of what went wrong and how things could be done differently. The anticipation is that people will learn from their mistakes. There are efficient processes in place for sharing information. Policies and procedures are visible and managers and employees are aware of them. There is sharing of a common frame of reference for expected behaviours. There is a shared vision in terms of the long-term goal that everyone is working towards. Learning is a collaborating process involving the generation, collection, interpretation and dissemination of information. Information is shared vertically from top down and bottom up. Communities of practice share information horizontally. Information moves around quickly to where it is needed. Learning is practiced continually, emphasised and valued. It takes place in defined processes. There is a focus on taking corrective action following audits and review. Different stakeholder perspectives are taken into account. Managers and champions lead by example. Dialogue is fostered and questioning encouraged and supported. Leaders are open about alternative perspectives. Learning becomes the way that ‘things are done around here’. Systems thinking – the ability to see that the smaller parts of an organisation make up the whole and that a change in one part of the system influences the other parts. Personal mastery – this more than competence and skills. They are in continual learning mode. Such individuals are highly aware of their ignorance. They question the status quo, things that are taken for granted. They are curious. They value the journey, not just the reward. Building shared vision – the capacity to hold a shared vision of the future we seek to create. To do so requires a commitment to foster collaboration and engagement rather than to dictate a vision and seek compliance with it. Team learning – this starts with a dialogue, team members suspend their assumptions and think together. So how does learning in organisations actually take place? Three types of learning loops have been identified in the literature. These are summarised below (See Gilson et al for a review of the literature). This is the most common and basic type of learning that takes place. The focus is on compliance with organisational ‘’rules‘’. 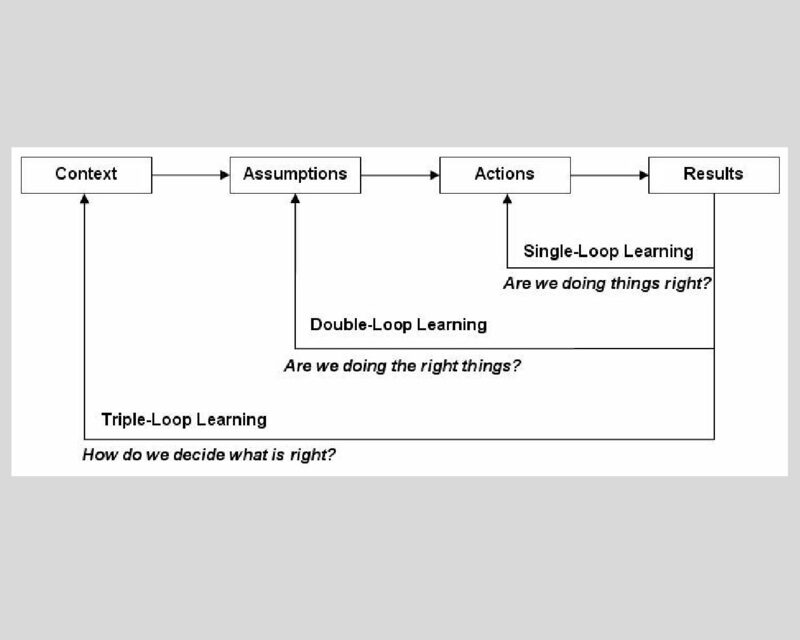 Single loop learning asks: ‘Are we doing it right? Could we do what we are currently doing in more productive ways, doing it cheaper, using alternative methods or approaches for the same objectives?’. It occurs when organisations first monitor their processes to evaluate how they are performing, to decide if improvements can be made. They evaluate inputs compared to outputs. Argyris and Schön (1978, pp2-3) describe single loop learning as a process where the error is detected and corrected, which then permits the organisation to carry on its present policies or achieve its presents objectives. Argyris and Schön describe single-loop learning as a process similar to using a thermostat that learns when it is too hot or too cold and turns the heat on or off. The thermostat performs the task because it can receive information (the temperature of the room) and take corrective action. Little or no learning or insight takes place. Single loop learning is less risky for organisations than double loop learning. The organisation exerts its control as rigid strategies, policies and procedures are created and implemented. Staff spend their time detecting and correcting errors from the ‘’rules‘’. Greve (2003) stressed that organisations will tend to look for solutions to problems (so-called ‘problemistic’ search) either in the immediate environment of the problem itself, or by looking back to previous similar problems and looking for either solutions, analogies and/or parallels that might provide insight to the problem. Single-loop learning seems to be present when goals, values, frameworks and, to a significant extent, strategies are taken for granted. This type of organisational learning can be thought as being efficiency orientated. Concern focuses on improving the ratio of inputs versus outputs, with achieving ‘value for money’ and eliminating sources of waste (lean thinking). In contrast, when organisations use double-loop learning, staff are able to reflect on whether the “rules” themselves should be changed, not only on whether deviations have occurred and how to correct them. This kind of learning involves reflexivity, creativity and critical thinking. Double loop learning asks ‘Can we do it better?’ and goes beyond process monitoring of errors to determining ways of improving processes. This type of organisational learning is more concerned about effectiveness. The focus tends to be on preventing errors from recurring. Argyris and Schön (1978, pp 2-3) describe double loop learning as learning that occurs ‘’when error is detected and corrected in ways that involve the modification of an organisation’s underlying norms, policies and objectives‘’. It involves questioning the role of the framing and learning systems which underlie the goals and strategies. This learning often helps people understand why a particular solution works better than others to solve a problem or achieve a goal. Experts assert that double-loop learning is critical to the success of an organisation, especially during times of rapid change. In contrast to the ‘’rule‘’ following example above, double-loop learning occurs when staff engage in a discussion about the reasons for non-compliance, and whether expectations were realistic or not. Results of the discussion might be, for example, that project timelines are changed or that communications need to be improved. 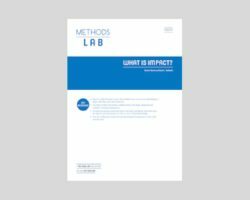 Reflection is an essential part of the process of double-loop learning: the basic assumptions behind ideas or policies are confronted, hypotheses are tested, processes are verified. When necessary, ‘’rules‘’ are re-written. 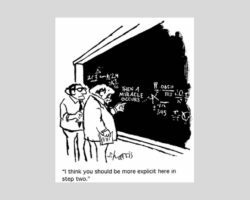 The problem with double loop learning is that often grass-roots level staff have the greatest knowledge about how organisational processes are working yet these people are often shut out from being able to solve broader questions about effectiveness. They may think about the issue, ask questions about ineffectiveness yet may typically be given insufficient time and resources to be able to reflect on what they are doing or experiment with new ways to solving organisational problems. Consequently, due to severely limited resources, individuals may fail to take action against their approach. Ineffective processes may typically become accepted practice. People may fail to question or fail to see errors in practice, or become unable to communicate errors in practice to others. Silent cultures can develop often as a result of the ‘deaf effect’ (people do speak out but nothing gets done). Failure to voice concerns become the norm. Organisational learning becomes severely limited. Triple-loop learning involves ‘’learning how to learn‘’ and involves reflecting on how we learn in the first place. The organisation asks more searching questions about its activities, in particular ‘Are we asking the right questions?’. Triple loop learning is concerned with defining or finding a strategic vision for an organisation. Staff would reflect on how they think about the ‘’rules‘’, not only on whether the rules should be changed. This form of learning helps us to understand a great deal more about ourselves and others regarding beliefs and perceptions. 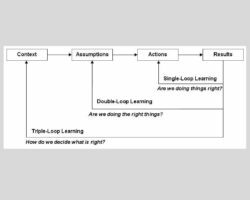 An example of triple-loop learning is when after having engaged in discussion about a problem, the dynamics of the conversation is discussed, including how it was conducted, what learning was produced from the conversation and how that learning was produced. Problems of learning and unlearning can be described by looking at examples with the NHS. In 2008 the Healthcare Commission reported on the poor handling of two c-difficile infection control outbreaks at the Maidstone and Tonbridge Wells Trust. The incident cost more than 90 patients lives and infected over 1,000 patients. Many of the same problems recurred. The hospital management board was preoccupied by a budget deficit, and applying for Foundation Trust status. Low priority was assigned to infection control and detection errors (single-loop learning). In 2013, the Francis Report published the failings at Mid-Staffordshire NHS Foundation Trust. It reported the appalling suffering of patients within a culture of secrecy and defensiveness. The inquiry highlighted a whole system failure. A system which should have had checks and balances in place, and safeguards to ensure that patients were treated with dignity, and suffered no harm. The report called for a whole service changes, with a patient-centred focus. The detailed recommendations did not call for a reorganisation of the system, but for a re-emphasis on what is important, to ensure that this does not happen again.